Developing a package of web-based technical applications (tools), applied individually or together to include information about floods, droughts and future scenarios into planning from the transboundary basin to water utility level. Climate change is altering weather and water patterns around the world; causing more frequent and damaging floods and/or water shortages leading to droughts. With increasing climate variability and change, water users and practitioners striving to become more resilient in their practices, need to prepare for such water-related risks by integrating scientifically sound climate information and risk assessments to respond to changing demands and climatic conditions. 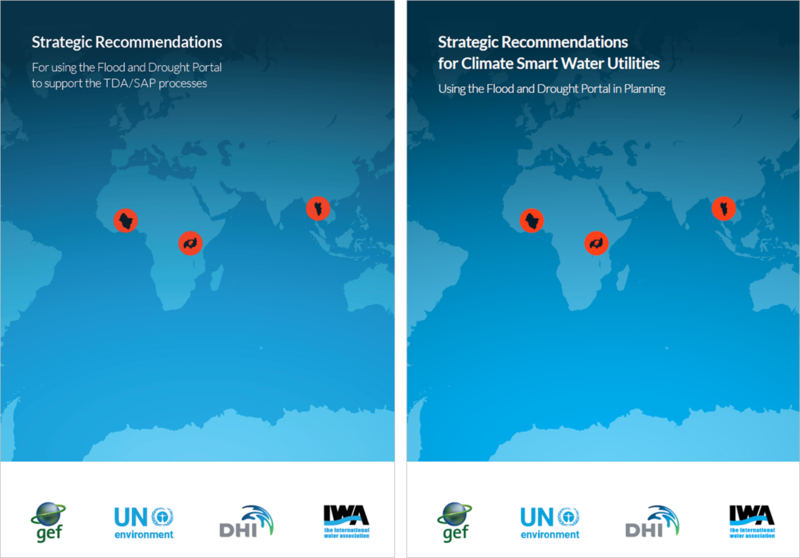 Well informed planning is a foundation for sustainable management of water. At the basin level, integrated water resource management (IWRM) has been at the forefront of planning, while for the past 15 years, water safety planning (WSP) has been recognised as an effective means for water utilities to maintain a safe supply of drinking water. IWA, in partnership with DHI are working on a UN Environment (UNEP) implemented and Global Environment Facility (GEF) International Waters (IW) funded project (Flood and Drought Management Tools) providing a methodology with online technical applications, accessible through the Flood and Drought Portal, to facilitate the inclusion of information on floods and droughts, and future scenarios into trasnboundary basin to water utility level planning; including IWRM and Transboundary Diagnostic Analyses (TDA) and Strategic Action Plans (SAP), and WSP respectively. The project is being implemented from 2014 – 2018, and 3 pilot basins (Chao Phraya, Lake Victoria and Volta) have been identified for development and testing of the methodology and technical applications. The project aims at contributing to the global efforts being made to maintain acceptable levels of societal and ecosystem sustainability vis-a-vis growing climatic uncertainty and unpredictability. The project contributes to the long-term vision of the Strategic Programmes, and in particular the Basins of the Future work which aims to ensure urban stakeholders contribute to basin management by securing water resources, protecting water quality and preparing for extreme events.